A Canadian man convicted of spreading anti-Semitic material online was sentenced Monday and banned from posting publicly on the internet, but will not serve any jail time. 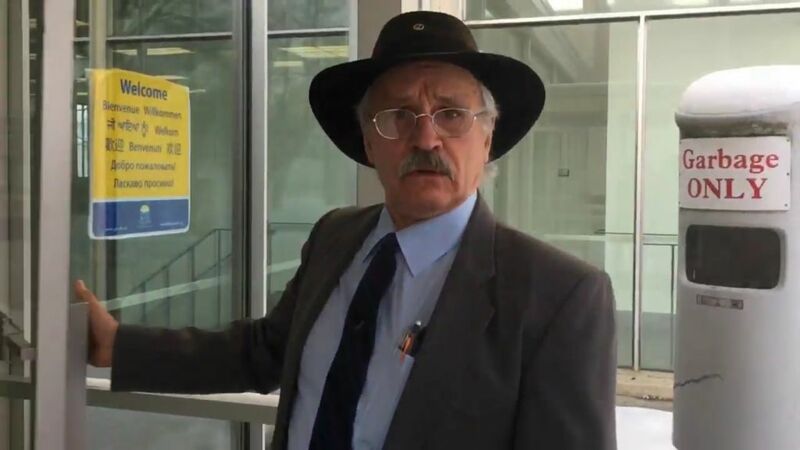 Arthur Topham, a 70-year-old former teacher and miner from Quesnel in British Columbia, was found guilty in 2015 of promoting hatred against an identifiable group on his website, Radical Press. Topham has run the website, described as anti-Zionist and anti-Semitic, since 1998 and was first charged in 2012. Topham was given a six-month conditional sentence barring him from publicly posting online, as well as a curfew. At the sentencing hearing, attended by several of his supporters, Topham told the court that the website had already been taken down, and said, “I have also deleted all of my Facebook, Yahoo… I have no online presence,” according to Canada’s CBC News. He did not appear to have changed his opinions, and didn’t show regret for posting the material. “I felt that I had a duty as a Canadian citizen to alert the general public of an imminent threat… the interests of the Jewish lobby,” Topham said in court. The website carried many articles with anti-Semitic and anti-Zionist content, including the anti-Semitic hoax The Protocols of the Elders of Zion. The defense claimed that there was nothing on Topham’s website that wasn’t readily available elsewhere on the internet. “My client is being prosecuted for material that can be found on Amazon,” said lawyer Barclay Johnson. The CEO of B’nai B’rith Canada, Michael Mostyn, said that “the timing is especially disturbing, as Canada’s Jewish community reels from a series of bomb threats against our community centers, inspired by the same hateful ideology that drives Mr. Topham.